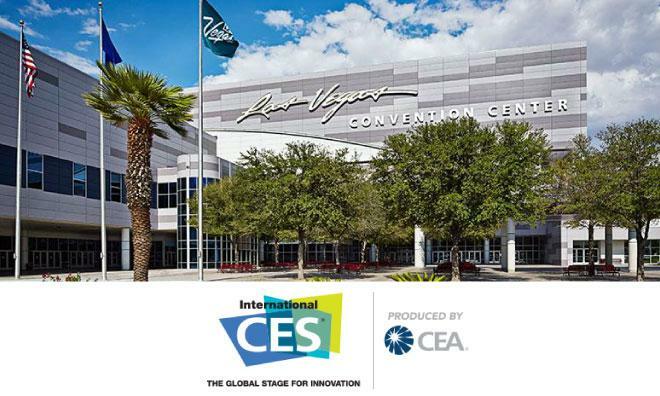 For those in the tech industry, the new year's eve countdown does not really end with fireworks and frivolity —its conclusion is marked instead by the opening bell of the Consumer Electronics Show, held each January in Las Vegas. AppleInsider will be on site next week providing live, hands-on coverage of the announcements, but until then, these are some of the trends and new products we expect to see at CES 2014. Industry leader Pebble says they will unveil "something special" at CES, though the company is mum on exactly what it might be. The announcement will be live-streamed on Pebble's website on Jan. 6 at 2 p.m. eastern time. French manufacturer Archos will show off a "selection of smart watches" that the company says will retail for less than $50 and sport a "pebble-like design." The devices will be designed to interface with a new Archos Connected Self iOS app that is said to be similar to competing offerings from companies like Fitbit and Withings. Tech titan Sony is expected to debut its third-generation Android-compatible Sony SmartWatch during next week's festivities. The new device was spotted by Wireless Goodness in an FCC filing labeling the watch a "BT Wrist Notifier." A new "WristRevolution" TechZone at CES will play host to a slew of upstart smartwatch makers from Asia, Europe, and the U.S. Established players TomTom and MetaWatch will also be on hand, and Qualcomm will use the WristRevolution zone to show off its new Toq device. South Korean giant Samsung is widely believed to have prepared a new, larger entry in its Galaxy Tab lineup. The tablet is thought to be called the Galaxy Note Pro and could sport a 12.9-inch, 2560 x 1600 pixel display, 2.4GHz processor, 3 gigabytes of RAM, and a 9,500mAh battery, according to ZDNet Korea. Smartwatches will not be Archos's only play at CES. The company will also unveil a 7-inch Android-powered "Smart Home Tablet" designed to act as a hub for a new range of "connected home" devices. Taiwanese hardware maker Acer will launch updated versions of their Iconia B1 and Iconia A1 Android tablets next week. The new B1 will feature a slimmer profile and an updated body texture, while the A1 will add some aluminum to complement its 7.9-inch display. Streaming service Netflix will announce hardware partners for a new 4K streaming plan aimed at connected televisions, Chief Product Officer Neil Hunt told Stuff. Hunt indicated that "several of the major TV vendors" would be debuting Netflix-compatible 4K sets. Seoul, South Korea-based LG announced plans to show new 55-, 65-, and 77-inch Ultra 4K curved televisions with OLED displays. The 77-inch model, which LG describes as "mammoth," has already received CES 2014's Best of Innovations prize. Polaroid is bringing affordable 4K video to CES with a new 50-inch Ultra 4K television developed in conjunction with Empire Electronics. The company says the set will retail for an impressively low $999.99, one of the first sub-$1,000 4K televisions to hit the market.